The Bridal Court ARE YOU A SUPPLIER? 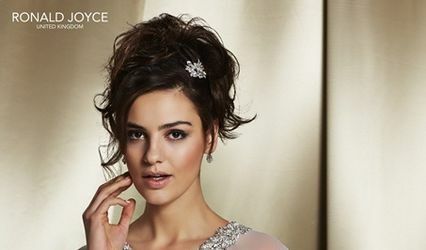 The Bridal Court comes with over 6 years in the wedding business and a stunning selection of bridal wear from which to select your dream dress. Their dresses come with a large number of colour customisation options, and their beautiful boutique is the perfect environment to ensure a stress-free dress shopping experience, making The Bridal Court an ideal choice for your wedding dress search. The Bridal Court provides a wide variety of beautiful bridal gowns to choose from with up to 20 different colours and many lengths to choose from. Design labels including Allure Bridals, Estes, Sacha James & Sacha James Curvy, San Patrick, Blue by Enzoani, Jasmine Collection, Modeca, and their selection of on sale bridal gowns. 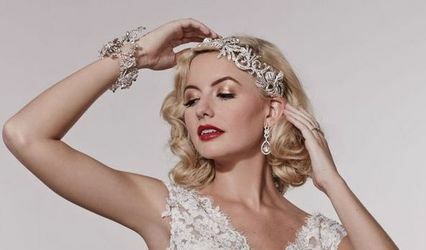 Also available are bridal accessories including hand-made tiaras, hair combs, feather hair pieces, custom made veils, and coordinated jewellery. Matching jewellery and Fascinators can be made in-house, allowing you to coordinate your look with your bridal party.